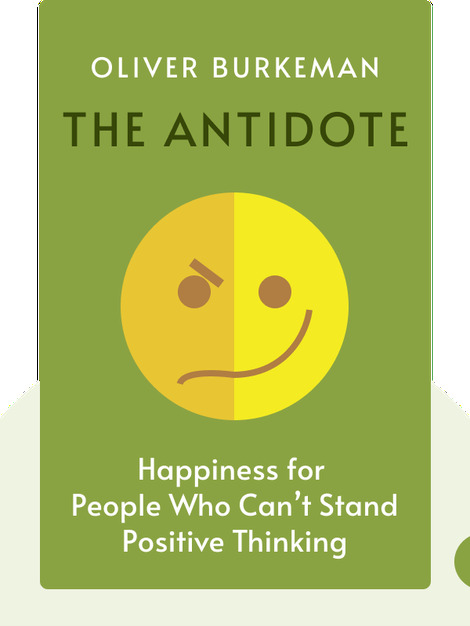 The Antidote is the intelligent person’s guide to understanding the much-misunderstood idea of happiness. The author emphasizes that positive thinking isn’t the solution, but part of the problem. He outlines an alternative, “negative” path to happiness and success that involves embracing failure, pessimism, insecurity and uncertainty – what we usually spend our lives trying to avoid. 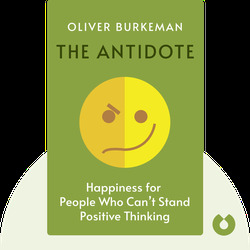 Oliver Burkeman is a British journalist who writes the popular weekly column “This Column Will Change your Life” for The Guardian. He won the Foreign Press Association’s Young Journalist of the Year award and was shortlisted for the Orwell Prize. The Antidote (2013) is his second book. He currently lives in New York City.